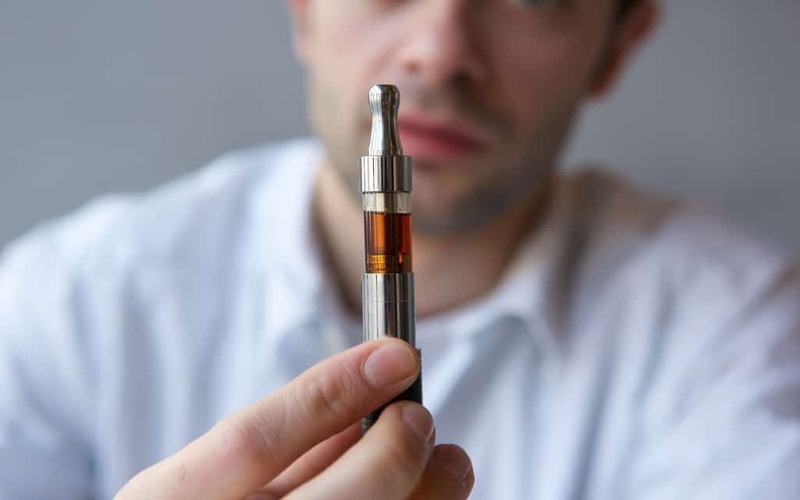 Electronic Cigarettes are the latest in a series of trends sweeping across the health and wellness industry. When taking a look at shops such as Vape Australia, you may be overwhelmed at the sheer volume of flavors and choices on display. There is always more to learn and experience in the world of e-cigs. That said, everyone must start somewhere so it is best practice to just jump in with whatever you feel called to. Luckily, this easy to use guide details the top 7 most popular E-Cigs that you should try if you are just getting your feet wet. The Mig Cig starter kit is a great choice for any first time E-cig user. It has a very affordable price so new vapers can try it out without too much investment or commitment. Also, the Mig Cig offers a high level of control over all aspects of the process. It is very easy to alter the coils, temperature, nicotine strength, amount of vapor, and of course flavor. The battery life is 8 hours so it can easily last an entire day before needing a charge. The solid build quality is also sure to leave a good first impression on anyone just getting into the game. Don’t let the small size of the Bug Mini Vape fool you, this device really packs a wallop! The super small size is great for concealment in case you still aren’t comfortable showing off your new hobby in public. Despite the tiny exterior, this vape has a surprising kick and can last a full 12 hours before needing a charge. The magnetic topper is a nice touch that prevents any vapor from leaking prematurely. This also keeps the smell at bay when you aren’t actively using this device. The 2ml oil tank is easy to refill so there is very little frustrating downtime to boot. The Magnum Snaps starter kit is a great choice for those who want an extremely portable device. When fully formed, the vape is only about 4.4 inches long! This is excellent for those who want to be very stealthy or have small hands. The 6-hour battery life may seem like a downside, but many light users will easily be able to make it last an entire day. There are 2 flavors to choose from to start, but luckily you can buy empty tanks to fill with any e juice you prefer. This is a great benefit that isn’t shared by every kit on the market. The Aspire KWIT stick is a small pod vape that offers a deliciously strong flavor. This is an excellent choice for those who really want to taste something great with each hit. The nicotine strength ranges from 30mg to 50mg depending on the flavor used. While the battery only lasts for around 4 hours, it only takes about 20 minutes to fully charge. This can easily allow for vaping all day considering just how many options there are to plug in a USB charger these days. The VaporFi VAIO GO is a fantastic choice for people who always forget to charge their portable devices and would rather not have to worry about it as much. It sports an impressive 2000 mah battery that lasts for around 20 hours of vaping. The slightly larger size of this vape allows for a 3ml tank, which is fairly big compared to some of the others on this list. There is a glass portion that allows users to see the remaining juice levels with ease. It makes it a great choice for those who just want to take as many hits as possible without a fuss. The PHIX Starter Kit is a pre-filled pod system that workes great right out of the box. Each pod contains 1.5ml of juice but unfortunately are not refillable. Still, it is easy enough to purchase more pods wherever vaping accessories are sold. The 4 flavors on offer do taste great and boast 50mg of nicotine. The five hours battery life should be enough to get most people through an entire day. Another cool feature is the lack of buttons on the device. This means that the vaping process is activated exclusively via your draw. This makes for a pretty unique feel that gives the impression that the tech in your hands is state of the art. The SXMINI Q MINI is a great choice for anyone who wants a high-end device and doesn’t care about the budget. It features a fascinating regulator mod that means the power of each hit doesn’t decrease as the battery life does. This makes every draw as fruitful as the last. The battery life is exceptionally long as the dual battery system supports the 200-watt system perfectly. You can also customize the temperature every half second. If you want the vape to gradually heat up the longer you keep puffing, then this is the unit for you. While it is a bit more advanced than the rest of the devices on this list, the strong quality will inspire most to learn quickly and enjoy the ride. The above guide details seven of the best places to start in the world of e-cigarettes. If you are tired of sifting through the bevy of options available on the market, you can safely choose any of the above units and get to puffing. There is always more to learn and customize if you decide to take things further down the line. Until then, we really hope you’ve enjoyed this guide and it helped you to make a more informed purchasing decision!